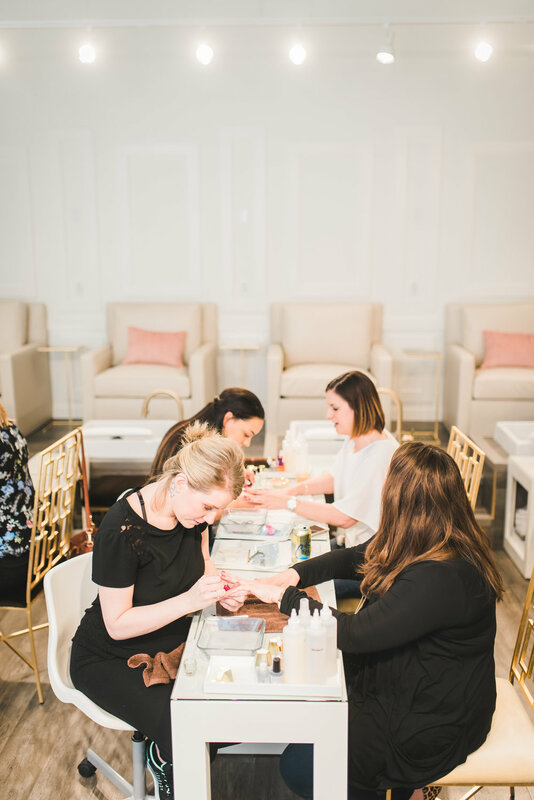 Kendra Scott headed to Raleigh, North Carolina to celebrate our new store opening with a day of pampering and philanthropy at the neighboring nail salon, Paintbase. This was one of my first events that I was expected to plan and execute from start to finish. When the idea of this event first came about - I knew we needed to host it at Paintbase. This nail salon shares a similar look and feel to our stores, so much in fact that it could almost be an extension of our stores! After securing the event and compiling my outreach list, the execution of the event became fairly simple. One thing that was integral to the success of this event was the in-person outreach I did the week before the event. I knew our college audience needed incentive to attend an event and an email from a random marketing specialist was not going to be enough to get them to participate. I scheduled meetings with multiple sororities, club organizations and a couple college influencers to invite them to the event and help book nail appointments. After just two meetings, the event was fully booked! We ended up adding a couple more nail technicians so we could accommodate more appointments and even had those booked up! For each appointment booked we asked for a $5 donation. At the end of the day, whichever organization that had the most appointments shown would receive a matching donation of the day's proceeds towards the philanthropy of their choice. After the event we were able to donate $1,200 to The Ronald McDonald House of Durham, while also identifying key college influencers to include in our Campus Influencer program. We also hosted an influencer cocktail hour with local creative and bloggers. This gave the store team the opportunity to connect with their local influencers all at once, and celebrate the new store opening!